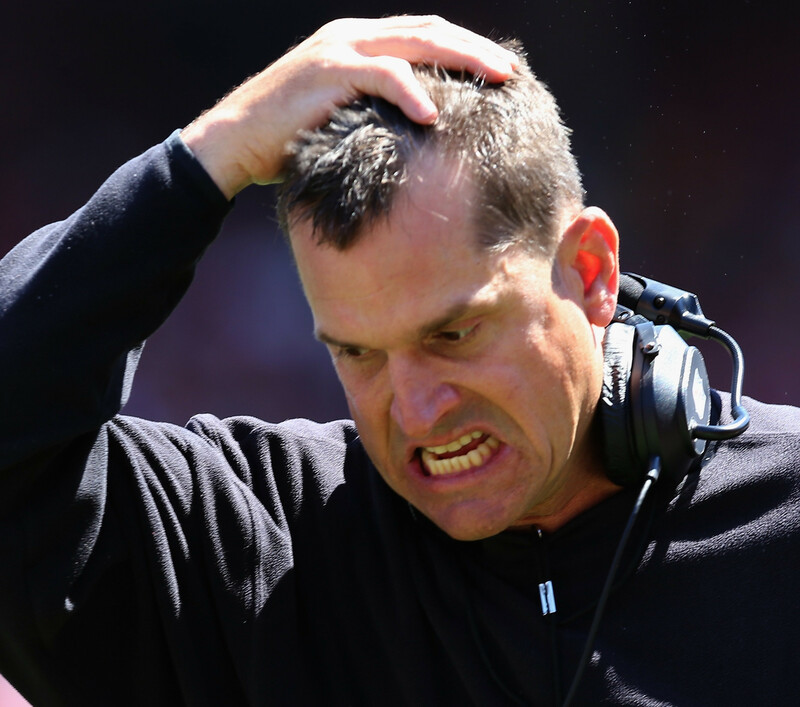 So there have been conflicting reports and denials by the 49ers that the supposed proposal to trade Jim Harbaugh to the Browns for draft picks is false. Of course, both sides could easily deny it just to save face, but we will never know if it was true. However, if it was true and multiple draft picks were involved, then we have to wonder if that was the only thing on the table or something else prevented the deal from happening. Also, that would mean the 49ers would have to promote Greg Roman or Brad Seely as the new head coach. Or steal David Shaw from Stanford. Using my logic, these are the terms to the trade that would make it fair for both sides. All of this seems fair in my opinion. If neither team can agree to those terms, then the deal had no chance of ever happening. This entry was posted in Cleveland Browns, NFL, San Francisco 49ers and tagged Comedy, Trade. Bookmark the permalink. ← What if Team USA did beat Canada in hockey?